Before going into the details of the new Higgs Anchor rig coming in Phoebe, let me take a few moments to explain how the post that CCP Fozzie referenced in his presentation came about. At Fanfest in 2013, we found out that one of the changes slated for Odyssey was the removal of gravimetric sites, which CCP would replace with ore sites. The big difference was that players needed to scan down gravimetric sites while ore sites show up on the probe scanner and players can immediately warp to them. Yes, that made the ore sites more accessible to those looking to mine. But needless to say, that also made ore sites in low sec (and wormholes) much more dangerous places. To say that people were upset is an accurate description. And since I was at Fanfest, I went to a low sec roundtable to find out more. In the session, I asked whether the risk versus reward was balanced. CCP Fozzie responded that, as long as a player mined while aligned, the reward was worth the risk. I wound up abandoning ore sites in favor of belt and ice mining. I was left alone pretty much while mining rocks, but I always tried to mine while aligned while ice mining when neutrals were in system. For some reason, company liked to drop into the ice sites, and I received a perverse joy warping off as they landed on grid. But that came to an end with the launch of Kronos and the increase in the base speed of the Procurer. Intellectually, I understood the reasons for the change. High sec miners didn't like the miner bumping changes used against them by the high sec ganking community. Miners actively looking to defend themselves against ganks were caught in a bad place. Mine while aligned and they were subject to getting bumped and ganked. Orbit an asteroid and they are sitting targets due to the long align times of mining ships. The Procurer was the perfect ship for those wishing to practice safe high sec mining. The ship requires low skills to operate efficiently and still maintain a formidable tank. The Procurer just needed a boost in speed to thwart bumping attempts. I've played and written about MMORPGs long enough to know that game developers sometimes have to nerf the gameplay of a few in order to enhance the gameplay of the many. But that doesn't mean I have to like it! So I complained, not really expecting anything to come of my occasional barbs except making me feel a little better by blowing off some steam every so often whenever I read comments stating that CCP never did anything for high sec miners. So imagine my surprise when I watched what CCP Fozzie unveiled on Sunday. Mining while aligned in my Procurer is back. 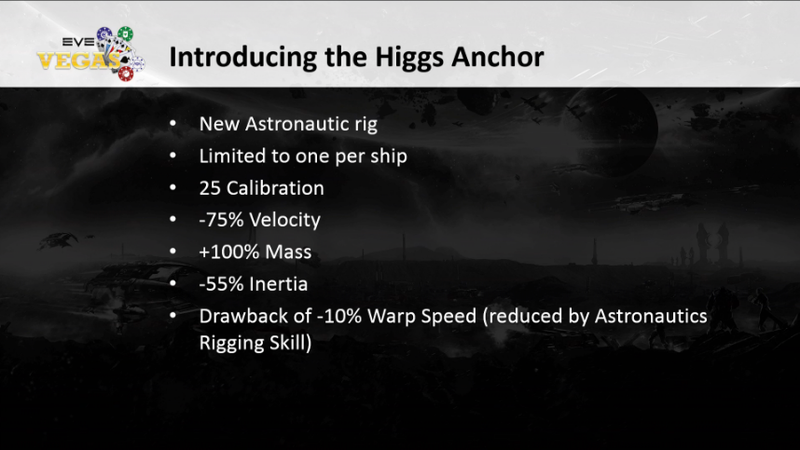 So what has me excited about the new Higgs Anchor rig. First, the 75% reduction in top speed really extends the time I can align on a celestial and mine a single asteroid or chunk of ice. Before Kronos, my Procurer, aligned at a speed of 92.25 m3/sec, would cross the 20 km diameter sphere around a chunk of ice in 216 seconds. With an ice harvester cycle time of 50 seconds, that meant I could harvest 4000 m3 of ice before needing to align to another celestial or bookmark. The change in base maximum speed for the Procurer in Kronos changed those numbers to a mining while aligned speed of 150 m3/sec and harvesting 2500 m3 of ice before needing to change directions. Every time the ship needs to change directions is another change for a cloaky bomber or tech 3 cruiser to tackle the ship. At least, I'm pretty sure that a bomber can lock and tackle a Procurer in 6 seconds. I know that a Tengu definitely can. Kronos actually made mining more dangerous. The Higgs Anchor rig changes that, making mining while aligned even better than before Kronos. I estimate a mining while aligned speed of ~35m3/sec, meaning taking an optimal approach, I can stay in range of the ice rock for ~570 seconds. Given a 50 second cycle time, that's 11 full cycles without having to change direction. Since a Procurer can only hold 12,000 m3, I would probably just warp back to the station at that point. Yes, that makes me very happy. I am also excited at the possibilities of mining in asteroid belts. Currently, while mining in a gang, I can fill up the ore hold of a Procurer in 10.5 minutes to 11.5 minutes, depending on whether I fit an inertia stabilizer or a Mining Laser Upgrade II in the lows. According to my rough calculations, I can stay in mining range of an asteroid for about 13 minutes. That means when mining a single asteroid, I don't need to realign at all. If I plan well, I wouldn't have to realign at all. Once one rock pops, I can just switch to the next one. No changes in direction necessary. The scenario outlined about works even better with another feature CCP is releasing in Phoebe: bookmarks in space. I would love to align a bookmark and then, when a ship lands on grid, just warp to the bookmark using the radial menu. Once off-grid, I would have enough time to realign to either a station, a gate, or another bookmark and warp off. If the opportunity presents itself, I'd place the bookmark in line with a celestial. That way, if the pilot looking to kill me is using the tracking camera to see what direction I warped to, I might send that poor thing on a wild goose chase. The Higgs Anchor has one additional benefit. The rig decreases a ship's align time. I haven't done the math to find out, but the effect is not as great as that given by the low friction nozzle joints rig. If the difference between the two is not that great, I can replace the low friction nozzle joint rigs I fit on my Procurers with the Higgs Anchor with no loss of effective align time. I'll have to wait and see, though. As wonderful as I've made the new rig sound, the Higgs Anchor does have a couple of drawbacks. First, if running a mining mission, the mission may require a pilot to enter at a specific point. The mission I'm thinking of requires travel of 15-17 km before getting into range of a strip miner. That's two-and-a-half minutes for each trip in. I'd probably not want to use a ship with the Higgs Anchor fitted, which I could get away with since scanning down a mission instance is probably something a random passerby on a roam would want to do. The second change is the drawback of 10% to warp speed reduction. Since the two characters I mine with both also fly blockade runners, they both use the WS-615 implants giving a 15% boost to warp speed. That means that when flying a Procurer, they are both faster than tech 2 cruisers in warp. A pretty nice trick up my sleeve to surprise an opponent. But by fitting the Higgs Anchor, my warp speed would drop to 3.28 AU/sec, just slightly slower than a tech 2 cruiser, but still faster than a tech 1 cruiser. I have used that speed advantage to get away from Ruptures in the past. I know the decline isn't that big, especially since I will have Astronautics Rigging trained to 5 on one character and 4 on the other, but for others the drawback could make a difference. Those are just my impressions of the new Higgs Anchor rig. Despite the possibilities I see in the rig, I doubt New Eden will see a big demand for the item. After all, who mines while aligned anymore? A bomber can lock you in 3s, or 2s with a sebo. (This is fast enough that it might be faster than your reaction time and could get your even when aligned.) A Tengu takes considerably longer due to the targeting delay on decloak ("sensoer recalibration"). That's either 6s or 5s, depending on if he has cloaking V (probably somewhat rare) or just IV. And then on top of that a lock time of 4s, or 3s with sebo. For mining missions, I expect you can offline the Higgs module. Warp to mission, then move in at normal speed. You'll have full capacitor by the time you get into place. Online the module. If for some reason that does not work (i.e. even an offline Higgs affects your ship), then carry a mobile depot in and refit. The best align time I've gotten on a functional Procurer is 5.87 seconds, which upgrades to 6. So as you've pointed out, not having to realign is a big deal. That is indeed a nice thing for lowsec mining. At a round table about general game design (see Sugars blog) CCP talked about an idea to merge single asteroid belts into one "super grid" per system. Reason for that is to bring players together in space. While that is a good intention for highsec or some well defended nullsec systems it is something you try to avoid in lowsec. Mining in belt 7 of 12 is a way to hide yourself. Someone entering your system may see you on his 15AU/360° dscan but he has to dscan several belts with 5°-15° to find out which belt you are in. With only one ore grid per system he can enter the system and directly warp to that grid without any delay. If he doesn't find a miner he can shoot the beltrats, so it will always be worth a try. Let's hope this is only an idea... they'd have to rework beltspawns and officer spawns, too, if that idea would make it into the game. All miners concentrated into a high-sec belt? Are miners to be sacrificed for ganker orientated player retention? What a pity miners can not have an anchor module with provides -100% velocity when activated. You are right. I see that "let's hope..." may be misleading. I didn't want to give the impression that this idea will hit TQ for sure within the next releases. And of course I would give my feedback once it turns from an idea into a devblog. And thank you for your roundtable notes, a lot of interesting things to find there! 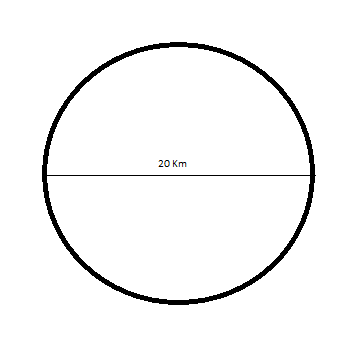 I think the mining sphere of the procurer should have a radius of 20km, not diameter.